Woof Walkies Highgate 2019 is a sponsored dog walk organised by a Cancer Research UK Committee on 17 March in Waterlow Park. Woof Walkies honours the life-long support and love our canine friends provide. The route will be on a mix of grass, surfaced lanes and woodland paths, however is not ideal for pushchairs. 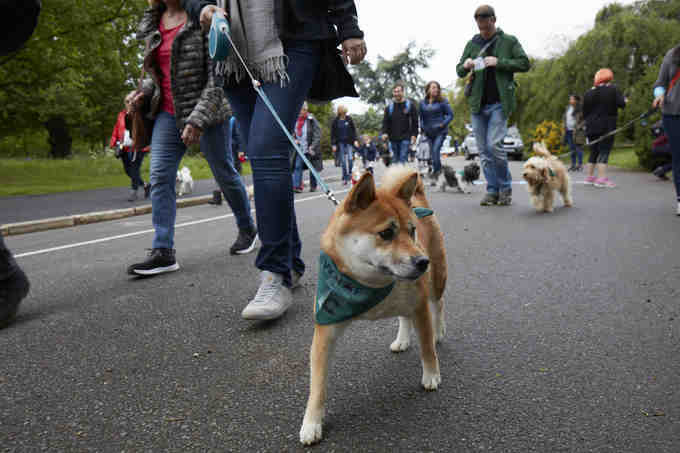 At Woof Walkies Highgate 2019, dogs and their owners pay to take part in the sponsored dog walk around Waterlow Park– other family members are also welcome but the emphasis is on our canine friends as it is for these who sponsorship/donations to beat cancer will be obtained! Cancer is a disease of cells and all cells can become cancerous – whether they belong to humans or dogs. The treatments and drugs that Cancer Research UK scientists have developed for beating cancer in humans are now often used to tackle canine cancers as well. Register for Woof Walkies Highgate 2019 here.